I enjoy horror in most of its forms, but I enjoy stories from and featuring diverse countries and cultures.African horror is rare to see. Many people I speak with are even unfamiliar with African American authors of horror. Add female author on top of that and the list dwindles further. 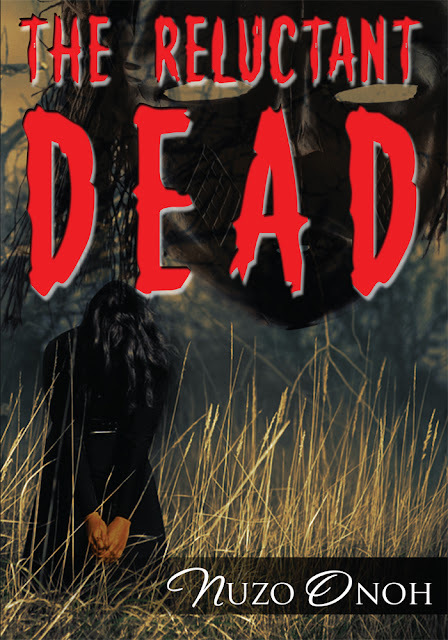 The Reluctant Dead by Nuzo Onoh is one of those rare works. Each of the six stories in this single author collection is richly laced with African folklore and the traditions that come from the Igbo culture. It is fascinating to read about the sights and smells and sounds of Nigeria, along with well drawn examples of the vast gap in class in this society, from the street hawkers to the privileged private school children that are taken to class by private drivers. Even the metaphors Onoh uses are appropriate to each story and give the stories the feeling of folk tales, warnings told to you by your mother to keep you from going outside of the neighborhood. Onoh has the difficulty that many writers of cultural fiction face, including myself. How much of your native language do you use and how do you best incorporate those words? Many times, words and phrases do not have exact English translations and Internet searches won’t always give your reader the meaning you as the writer intended. I don’t feel that all terms need to be explained, but I imagine that some readers unfamiliar with African culture would stumble over some of the sections where the terms aren’t directly defined or alluded to in the context of the story. Incorporating the cultures and beliefs of various peoples can make the experience of horror richer and more unsettling. Authors should not feel the need to exclude their heritage in their writing but showcase their work—send it to a publisher or self-publish, so we can increase its visibility and show that true horror crosses cultural barriers. I contacted Nuzo Onoh, author of The Reluctant Dead and she agreed to be interviewed for the blog. First off, thank you for granting me this interview. Tell us a bit about yourself and your writing style. Thanks Eden for this interview. 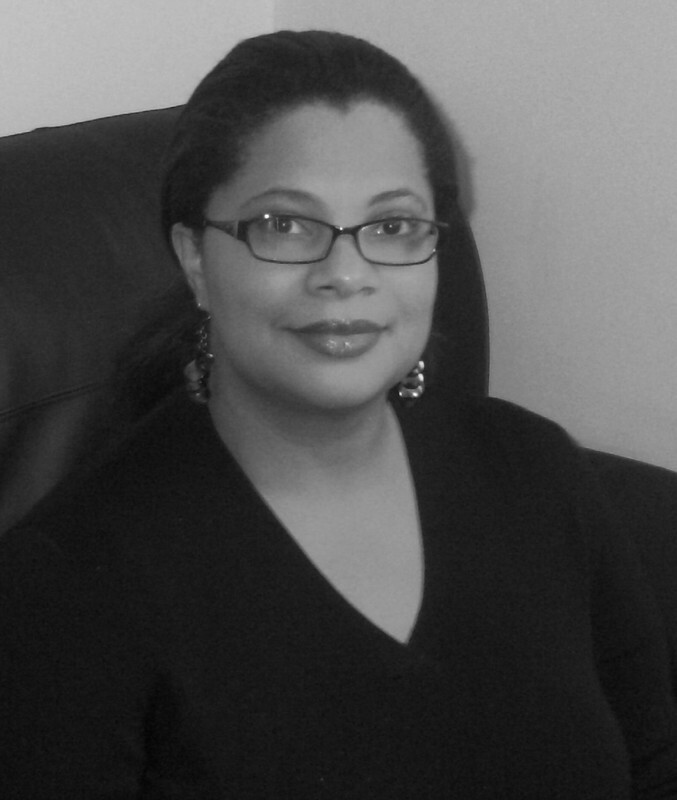 I am a British writer of African heritage from the Igbo tribe in what was formerly known as The Republic of Biafra. We fought a bitter civil war with Nigeria, which lasted for 3 years and saw millions of my people, including several family members, die in the conflict. That war had a great impact on me as I lived through it and witnessed first-hand the horrors of death, sickness and violence. It is something that continues to influence my writing till date and you will find small references to it in my book, The Reluctant Dead. Naturally, when you are raised amidst such brutality and carnage, stories, beliefs and lore about death and the afterlife tend to become an everyday thing. I therefore grew up on moonlight tales of ghosts, night-flyers, demons, witches, mami-water mermaids and a host of other African supernatural horror beings. They were told as folklore and my writing reflects the oral story-telling style of the Igbo culture. I hold both a law degree and a master’s degree in writing from the wonderful Warwick University, (England) and run my own self-publishing company, Canaan-star Publishing, under whose imprint my book’s been published. I have two beautiful daughters and a barmy cat, Tinkerbell and live in Coventry, England. I love everything to do with the Law of Attraction, terrified of spiders and planes and loathe poseurs (literary or otherwise). I started writing from a very early age…not sure exactly how old but I definitely recall that I was 10 years when I wrote a complete story about a bird without a nest. I was always terrified and yet fascinated by ghost/witch stories but as a child in Nigeria and later, Biafra, we had access mainly to British books…A Christmas Carol was an early favourite and The Brothers Grimm…loved Hansel and Gretel. Finally, one day, I discovered a local author, Amos Tutuola, whose book The Palmwine Drinkard told the story of a man who travelled into the land of the dead and discovered numerous ghosts and other horror characters. That book turned me into a horror fan and by the time I finally discovered my all-time icon, Stephen King, I was totally hooked. What inspired you to write “The Reluctant Dead”? What is special about this collection of short stories and how does your heritage influence your storytelling? The Reluctant Dead is a collection of six ghost stories, dealing mainly with hauntings, reincarnation and manifestations. Like Japanese Kaidan tales, the stories in my book are geographically specific (set in Old Biafra, part of present-day Nigeria), depicting core Igbo superstitions, traditions and beliefs within the supernatural context. Africa is a culture that accepts the supernatural as normal. Igbo horror in particular, is one that has grown from an ongoing belief and acceptance of life after death, epitomized by ancestor veneration, a belief in re-incarnation, ghosts and malevolent spirits, possessions and hauntings. There is a close bond between life and death, which sees most houses and hamlets littered with the graves of their departed ancestors. In fact, at my family home in Old Biafra, we have a total of nine graves at our back garden, including my great grandparents, grandparents, uncle, father, sister, brother, niece. I spent a lot of precious times at those graves while growing up. I’d love to join them all when eventually I return to the great beyond and hopefully reincarnate within my family circle. Sacrifices, libations and prayers are often offered at family graves and children grow up accepting death as a natural part of everyday existence. 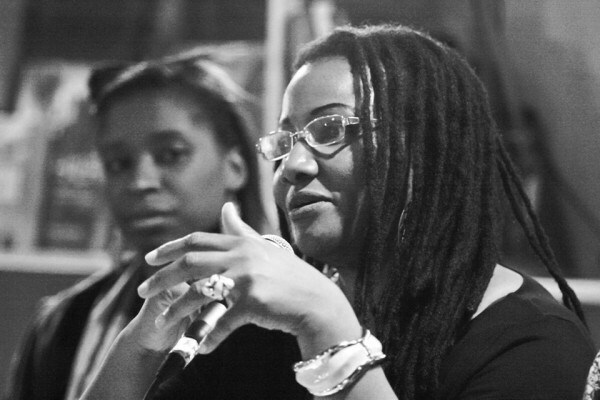 Unfortunately, till now, African Horror is one genre that has yet to reach a wider audience due to the fact that there are very few writers of this unique genre and literally, no female writer of any note. I had been writing the stories for years but like most writers, stockpiling them for “one day”. Then last Christmas, my big daughter, Candice, and I were talking about hauntings and UFOs and I read her one of my ghost stories. She said it blew her mind and not just because I’m her mother. She reminded me that horror has always been my joy…my bookshelves are jam-packed with mainly horror books…very few literary classics…that’s how much of a philistine I am. Sadly, I’ve never been one for intellectual poseurism, despite my master’s degree in writing. Anyway, I emailed the stories to a few friends from various ethnicities and their reactions were highly encouraging. The Reluctant Dead is the result. I’m hoping that my readers will come to appreciate African horror and that it eventually gains the popularity presently enjoyed by other regional horror genres like Scandinavian, Korean, Japanese, etc. In “The Reluctant Dead”, many of the themes of the stories surround revenge or unfinished business as well as being based in African folklore. How did you combine these elements to make each story unique? You are right. Most of my stories are themed around revenge and unfinished business. That’s the difference between African ghosts and Western ghosts, I think. I tend to view Western ghosts as spiritual voyeurs and flashers…they just seem to pop up at random with no specific agenda apart from scaring the wits out of some lily-livered humans before vanishing till the next time they get bored of ghost-city. Now, African ghosts always have an agenda. Roughly, you can classify them under three ghost types. The ones that die suddenly before their time and not aware that they are dead. They continue to haunt the familiar places and their loved ones because they don’t know any better. They usually require some sort of exorcism by Dibias (powerful witchdoctors) or in these Christian era, a prayer warrior from a Pentecostal church. This was the case in one of my stories, “The Follower”, where the ghost of the murdered girl eventually needed to be exorcised back to the ancestors’ realm. The second variety of ghosts are the ones with unfinished business. Maybe they are murdered and need to get their revenge or perhaps they forgot to reveal some important message/document before they died and need to rectify the problem. These ghosts generally tend to return to the ancestors once their mission is accomplished, although occasionally, one might still require the aid of a powerful Dibia as happened in my story, “Hadiza”, where the wronged wife returned to avenge her death on her husband’s mistress. The final category of African ghosts is, to use a popular phrase, the evil dead. Evil spirits and demons. These people are so evil in their lifetime that they’re rejected by the ancestors when they die. They are cursed to roam the worlds, homeless and joyless, filled with bitterness and hate and out to wreak mischief and harm on the living. They are the type of ghosts that appear indiscriminately to all and sundry, rather than to their families and friends. It is nearly impossible to exorcise these ghosts as they have nowhere to be exorcised to. This was the case in my story, The Names of Our Dead, where the evil dead eventually founded their own village amongst the living from where they continued with their nefarious acts. A great horror tale for me is one that insinuates into your mind from simple everyday situations. You start thinking, “sh*t! This could well happen to me”. No one beats Stephen King when it comes to bringing unimaginable terror into the mundane. I reckon I’ve read every Stephen King out there but when I need a dose of lightness, I turn to Tom Sharpe. This guy gives a new meaning to the word “humour”. Roaches, snakes, flying in planes, lightning, darkness, heights, burglars, aliens…sure you want to know more? I’ve already started work on my next book, which I’m hoping to get published in April 2015. Its working title is Our Bones Shall Rise Again. It’s also a book of ghosts and hauntings but the main story, a novella, from which the title is taken, narrates an African ending to the famous Igbo Landing hauntings of St Simon’s Island, Georgia, USA. I would recommend a reading of that tragic incident to anyone hoping to gain a better understanding of the story when it’s eventually published. For one thing, by receiving exposure at such sites as Hellnotes, dedicated to true horror fans. By realizing the importance of globalization and writing stories that embraced aspects of all cultures while still maintaining the unique cultural spirit of the narrative. It creates a sense of the familiar within the alien and therefore becomes more commercially viable. Hence in my book, although it depicts Igbo culture and beliefs within the supernatural context, we see the familiar stuff like Facebook, mobile phones, British footballers etc. Editing…definitely. I am first and foremost a storyteller. I just let the words flow, allow myself to be directed by my characters. I’m not looking to correct typos or break the flow of the narrative with irritating corrections. When I’m done, then starts the re-drafts. If I’m not too careful, I could get bogged down with details and multiple re-drafts. I have a great writing friend, Ted, who has a keen eye for errors I fail to spot in my writing. I’d recommend that every writer have their own Ted, an objective critiquer/editor, a person that critiques the work not the author and who will give your book the final polish it deserves after you’ve penned the final line. When I’m not writing, I read and read, everything from humour to horror, science fiction to fantasy. I’m pretty eclectic in my reading preferences. Otherwise, I listen to music…can’t write without music. I associate each book I write with a particular song. Then spend time being a mother to my youngest, Jija, who at 14 years, may soon become too old to want to spend time with her boring old mum. Please guys, spread the word. There’s a new terror in town and it’s come to you all the way from the deepest depths of Africa! Get your copy at Amazon or order from any good bookshop. Thank you and God bless.